Testimonials | Kline Law Offices P.C. 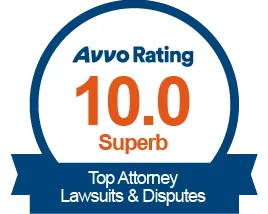 My experience with the Kline Law Offices was remarkable. I was injured in a car accident, overwhelmed by my symptoms and inundated by paperwork. While I was trying to make a difficult decision related to surgery, the team at the Kline Law Offices negotiated the highest settlement available under the law. Rob Kline and his assistant Rosie took care of everything through a complicated injury accident. I would recommend him to anybody! He’s nice, comfortable to talk to and very thorough. Rosie is wonderful. She always stayed in touch and kept me informed. Absolutely 5 stars. Everything that Rob stated to me that he would do for me was done. This was a great experience for me and I would refer him to any of my friends and family. If I ever need another attorney I would call Rob first.